Disclosure: Origami Owl sent the necklace picture for review. Easter is right around the corner!! Do you have someone on an Easter gift list? I have a wonderful suggestion for a heartfelt, fun, beautiful gift that they will treasure! I’ve heard of Origami Owl but I hadn’t seen one of there innovative, fun lockets until now. Origami Owl combined the concepts of charms and lockets into one! For centuries, lockets have been a way for women to wear jewelry close to their hearts, that contain symbols of people that are close to their hearts. With an Origami Owl Living Locket®, you can choose symbols of people, places or events that have a special meaning. 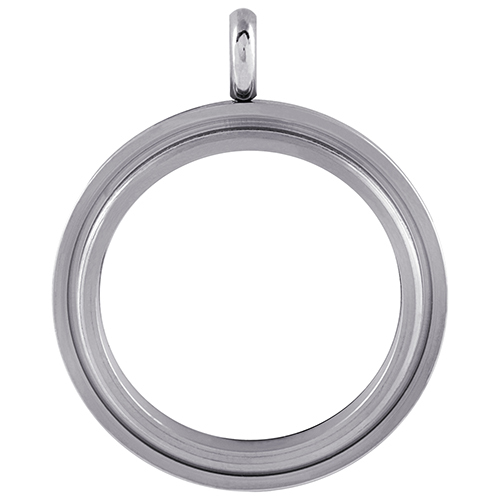 And because the symbols are pretty charms, you put them in a clear locket to show the world what is special to you! Great idea, right? 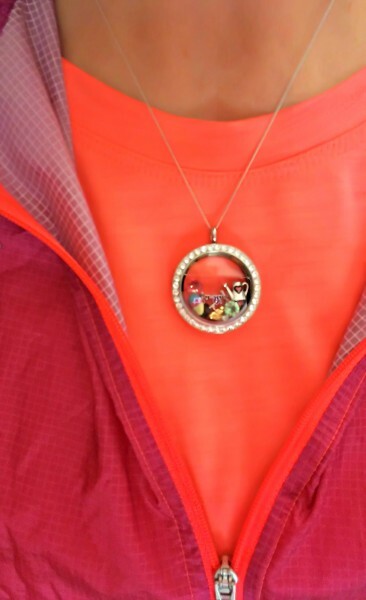 The Living Locket® fits in especially well for gift-giving. You can tell someone you love why you think they are special. And for future events and holidays, you can give them new charms so their Living Locket® is an every-changing, flexible piece of jewelry. One of the things I love about mine is how you can see your outfit through the locket – so it always matches what you are wearing! 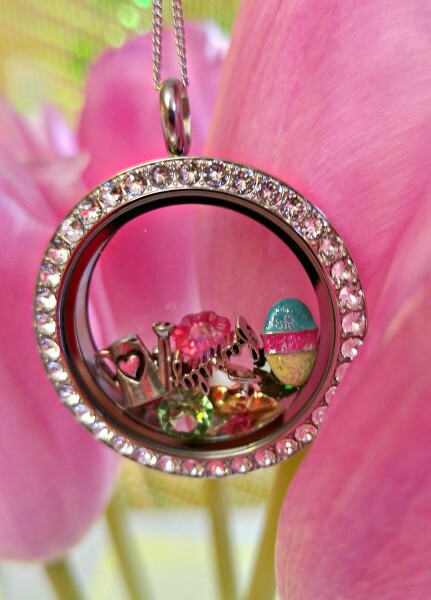 The charms in my locket are Easter-themed. What charms would you choose for your special someone? to ornate and everything in between! Origami Owl was started by 14 year old Bella Weems. Bella wanted to earn the money to buy a car when she was sixteen. So, with only $350 and her family’s support, she started selling lockets after school. Origami Owl took off from their because so many people loved the Living Locket® and the connection they created through wearing one. Bella decided to share the opportunity with other entrepreneurs and created a direct sales company. Origami Owl now has more than 60,000 Independent Designers across the country. In addition to the Living Locket®, their original jewelry, Origami Owl now carries bracelets, watches, earrings, and more in their line. Visit the Origami Owl website to learn more and see all the fun choices! I love Origami Owl! They are so pretty! These are so creative and beautiful! 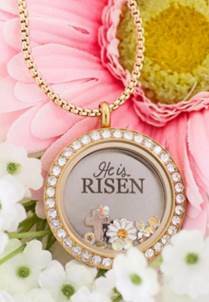 This is sa really cute easter necklace. These would make great gifts for any occasion they are so pretty. First I think it’s amazing that a young girl started this company. It’s such a wonderful way to gift someone or for yourself. I’d love to get one to remember my mom . Also one for my young daughter who survived Cancer and an implant. Thanks for the post. This is so pretty. My daughter loves owls. I would love to get this for her. Hope she got her car! Original and pretty necklace for a Mother’s Day present. These are really pretty my grandaughter would like one. I think that the necklaces are pretty. These are really cute necklaces and I love that you can personalize them. The Origami Owl Living Locket is very nice. It’s great that you can personalize them. Love the necklaces!!! The stone studded ones are so cute! I am so into owls! I just bought a sweater that has an owl on it. I also bought a pair of sparkly owl earrings. This necklace would top off the whole look! I love it!! Oh, did I mention that I bought socks with owls on them? Pretty cool, huh? Thank You for this fabulous giveaway!! These are beautiful and would make a great gift for someone. Not only for Easter…but also for Mother’s Day. I love how you can customize each individual locket! Really pretty and unique product. And created by a then- 14-year-old! Wow. I’m always impressed and fascinated when I come across these stories of kids and teens who have that drive to create something, work hard, and so on. LOVE! I love this necklace. I would love to have one like this. Those are beautiful charms inside! I’d love to have one, too! What a lovely shop! 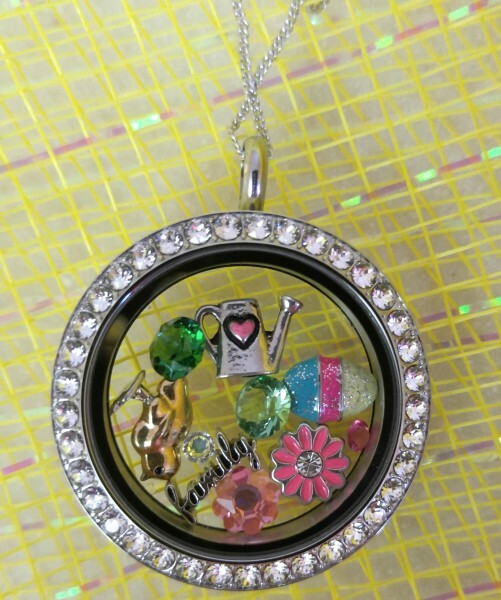 My favorite item is LARGE SILVER HEART LIVING LOCKET WITH SWAROVSKI CRYSTALS. These are beautiful lockets. I love the charm choices. What a cute idea for a locket, so different. These are so cute! Happy Easter. I love owls too and would love to have an owl locket. These are all really beautiful lockets, I’ll definitely check these out! Gorgeous! I can see it going with any Spring outfit…casual or dressy! Adorable! It is great to hear about young people with initiative! Such a fun product with a great backstory! I love how their are so many different options for some pretty necklaces. Very cute gift idea! I love that it can be so creatively personalized! I love the ornate design. It’s fun to be able to make it just like you want it. I love the design and thought behind Origami Owl. No piece is the same and each is meaningful to the wearer. I would love to own a piece from Origami Owl. I love how there are so many choices, and it’s wonderful that the charms are personal. Those are beautiful lockets. Origami Owl has very lovely merchandise. I love jewelry that can be personalized by the gift giver for the recipient. 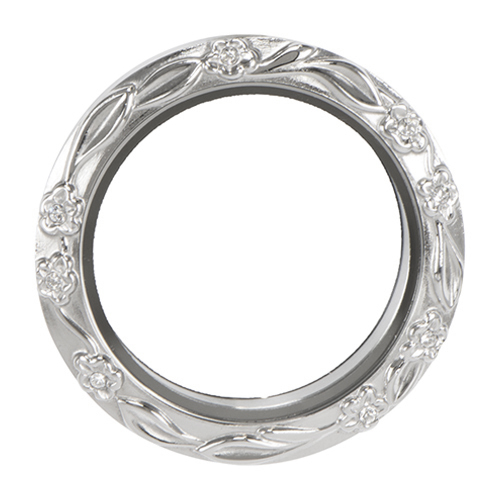 I think that the Origami Owl Living Locket is so beautiful and chic. I would like to buy one very soon.